There are over 5 million automobile crashes every year in the United States. That's just one good reason to make sure you have the best and most reliable vehicle insurance. Then, of course, auto insurance is mandatory. However, it's between you and your agent what type of coverage you decide to purchase. BCA Insurance Group provides the choices you need at the rates that fit your budget. Check with one of our agents for more information about our options for automobile insurance. The Automobile Insurance Cost Reduction Act states that residents have the choice to purchase basic coverage in Marlton and Northfield, NJ. However, you may be liable if someone sues you due to injury in an accident you cause. You will have minimum coverage for property damage liability and personal injury protection. A step above the basic coverage, the standard policy includes added coverage for property damage liability, personal injury protection, and bodily injury protection. The standard coverage will handle lawsuits that occur because of an accident you cause. You can select the amount of liability coverage you want if you are involved in an accident with a driver who doesn't carry the state minimum requirements or is underinsured. You may include collision coverage as an added option. If you owe money on your vehicle, you will probably need collision insurance. This covers you in case you experience a collision with another vehicle or object. 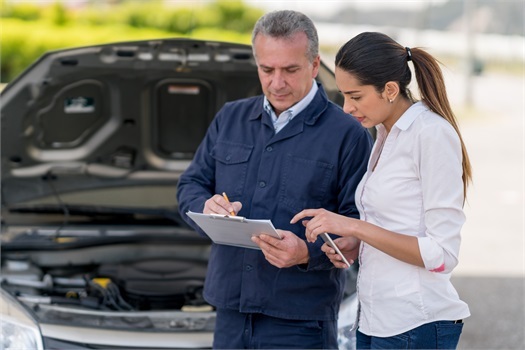 Comprehensive coverage is another option that many owners choose to add to their standard policy. If you have a loan on your vehicle, your lender will most likely require this. Comprehensive insurance covers your vehicle in situations that don't involve a collision. For example, if your car is stolen, vandalized, hits an animal, flooded, and so on. Check with your agent for all the specific scenarios. BCA Insurance Group in Marlton and Northfield, NJ offers customized solutions for auto insurance. Visit our office to talk to someone in person or use our website's online rating tool to get a quote on auto insurance. Do you live outside of New Jersey? We also offer our services to those in New York and Pennsylvania.